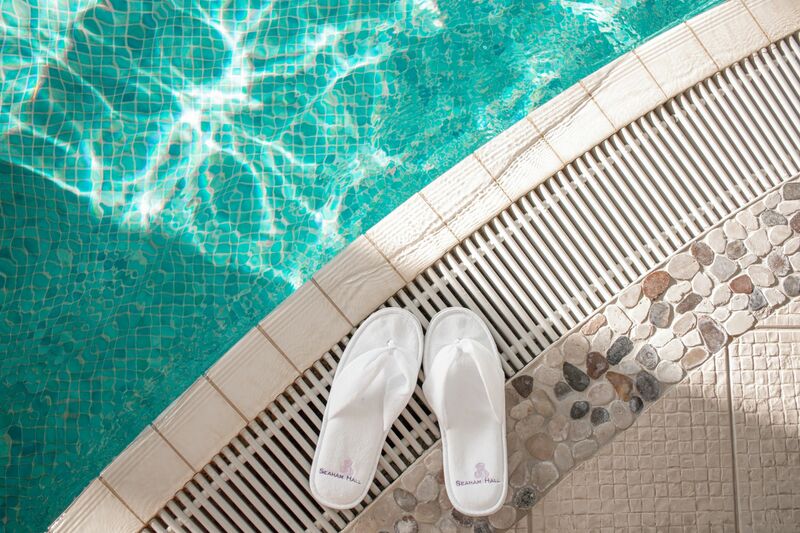 Whether you think they're luxury or a necessity, there's no denying the benefits of enjoying a little time at the spa. Maybe life has just been a little hectic and you need to get away for a while. Or maybe it's to celebrate a special occasion, or show someone you care. 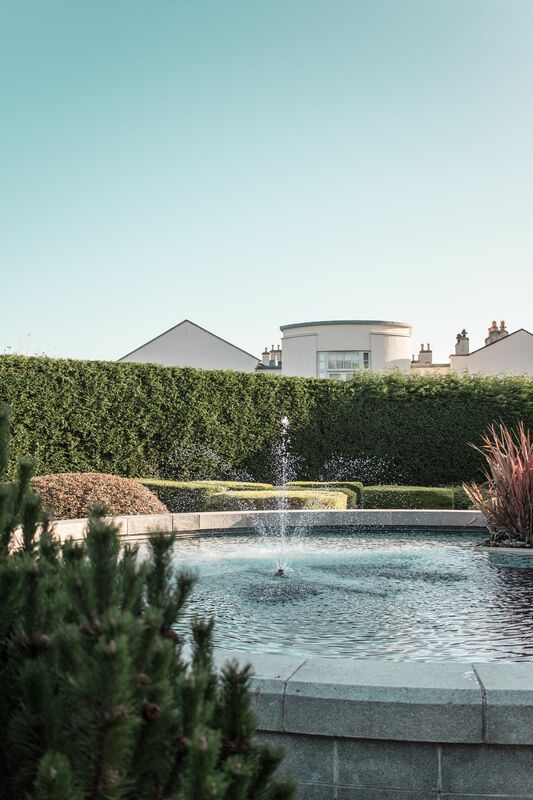 Whatever the excuse, when it comes to spa days, there's few places in the North East that do it better than Seaham Hall. 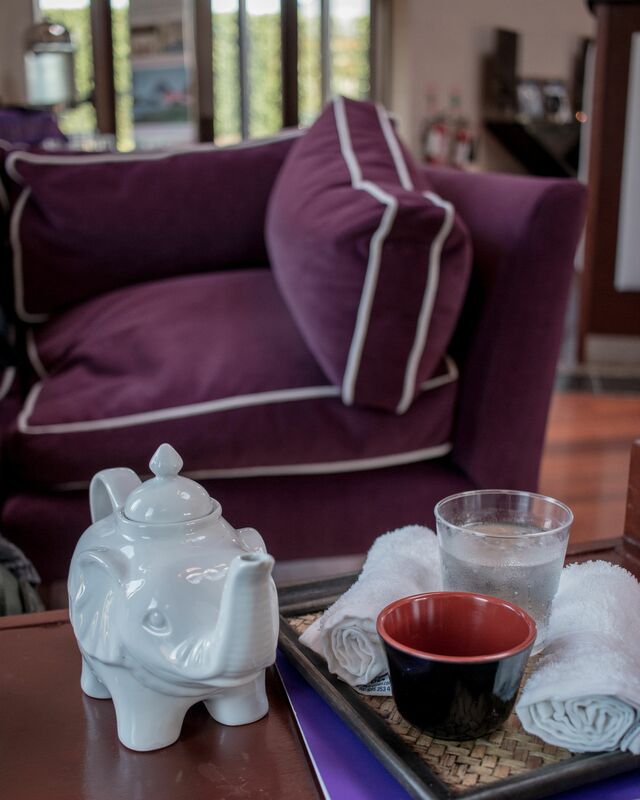 With a regularly updated range of spa packages (which make the perfect Christmas present! ), they're one of my favourite places in the North East to unwind. And since it had been exactly a year since our last trip, I thought the Couples Cosy Up Spa Day was the perfect treat for me and Mihai to take a little time out of work and off life's usual stresses. 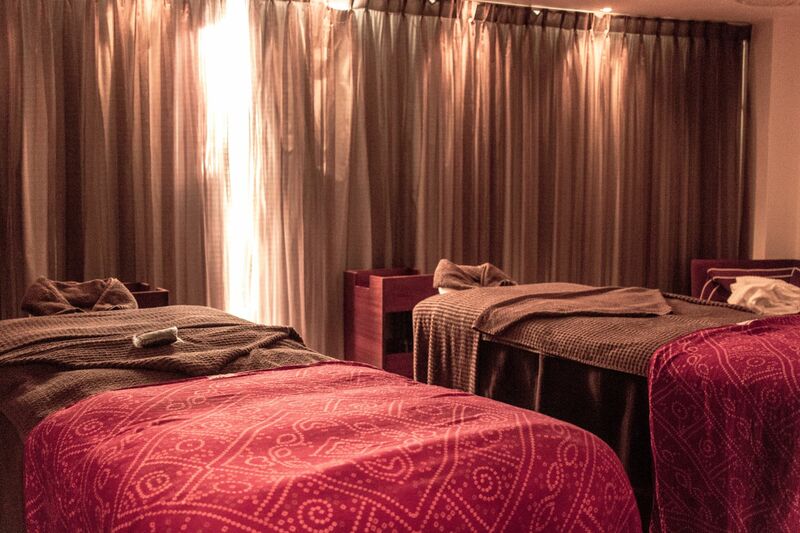 Offering full use of the spa, a two course lunch in the Ozone restaurant and a 75 minute Serenity Signature Body, Face & Scalp Ritual in a double treatment room, it's the perfect treat for you and your partner with prices starting from £230. 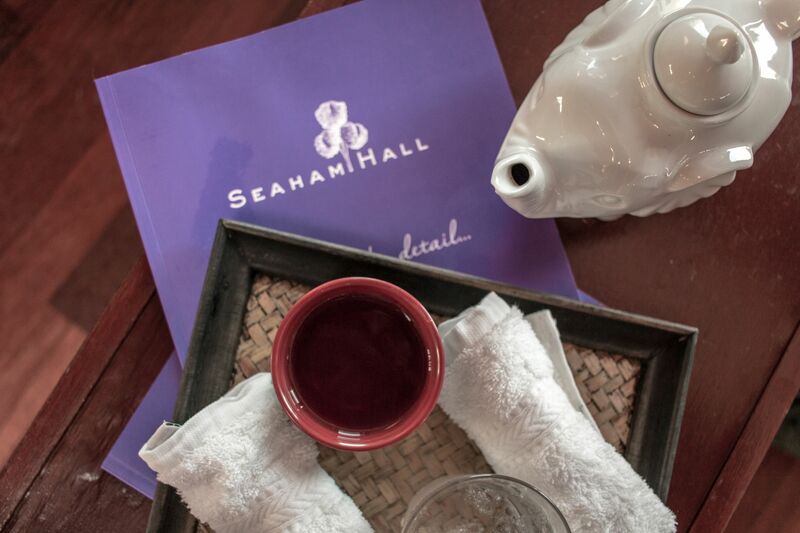 It's an indulgent package that lets you take full advantage of the spa's facilities while soaking up the tranquility of your beautiful surroundings. 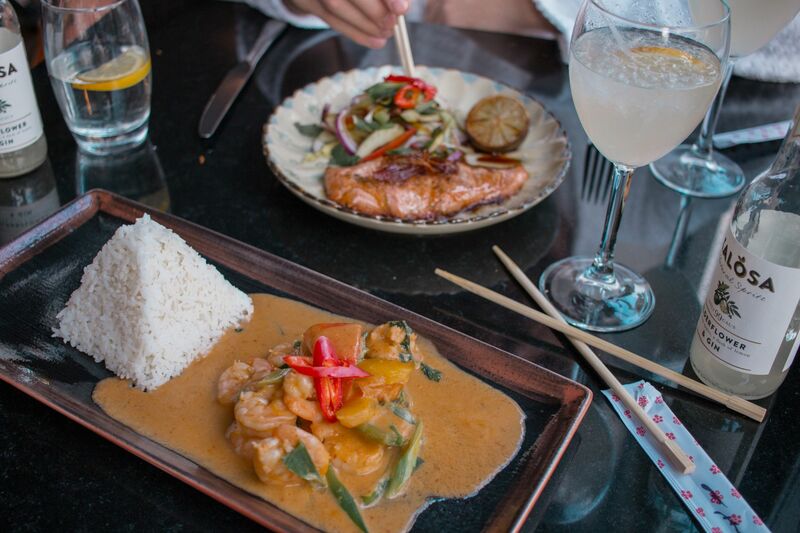 Not to mention a healthy Asian feast which can be enjoyed in the comfort of your spa robes and slippers. 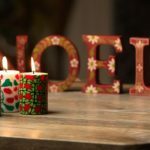 And it's available to enjoy until 31st December! Light, airy and spacious, Seaham Hall's interior is everything you'd come to expect from a high quality spa. With nods to Asian influences in the details of its design, its interior is the sort of place that commands almost instant calm. 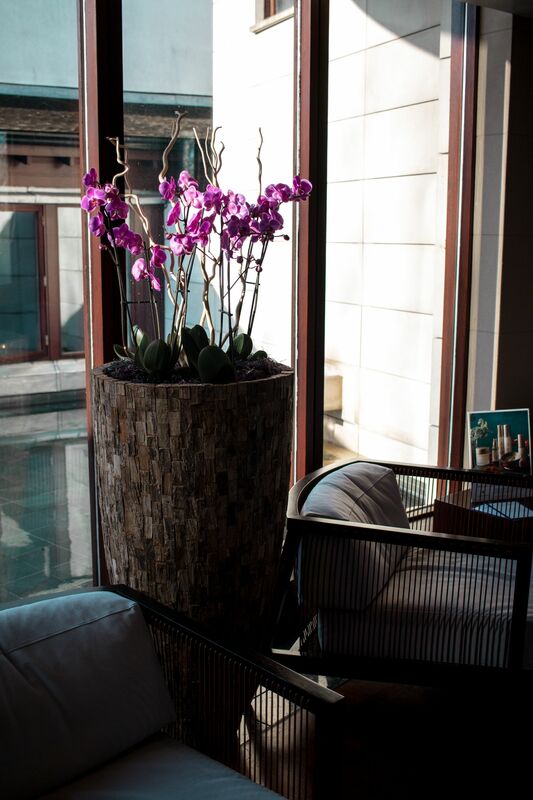 Soft fountains and peaceful rock gardens surround the inner sanctum of the spa itself with vibrant orchids adding a touch of colour. From the heated indoor pool with its relaxing whirlpools and lazy river, to the outdoor hot tubs, the spa offers a range of ways to relax. Warmed and tranquil, the loungers surrounding the pool offer the perfect place for flipping through a magazine between laps in the pool. Or when you're ready for a break from the sauna or steam room with its refreshing eucalyptus scent. 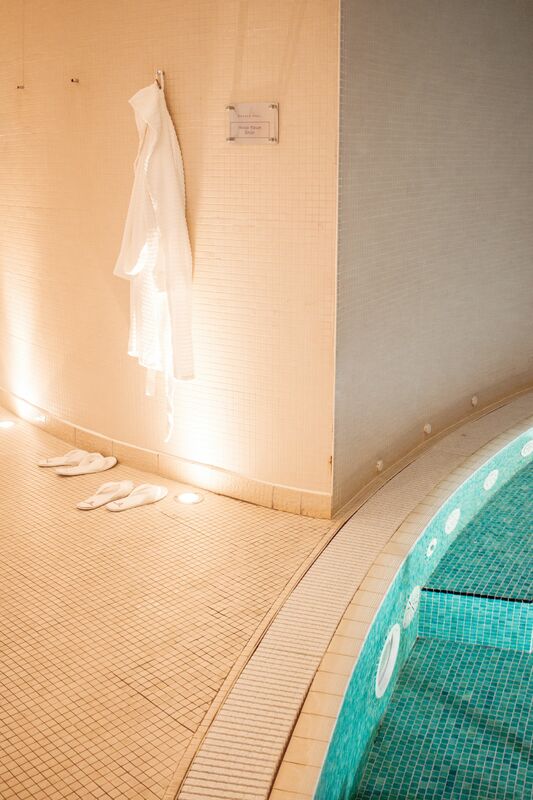 Or the spa's new Himalayan salt sauna, a revitalising treatment room that lets you soak up the mineral-rich air. But it's definitely always the outdoor hot tubs that I find myself wanting to while away the hours in. Perfectly heated for a crisp November day, it's the best place to soothe aching and tense muscles while enjoying the fresh air. All the while getting to enjoy a little of the bright, but cold, winter sunshine that afternoon. If you're a regular spa-goer, you'll already be more than aware of the many benefits of saunas. Including muscular pain, rheumatism, skin problems and sports injuries, saunas have long been a way of unwinding and releasing stresss. 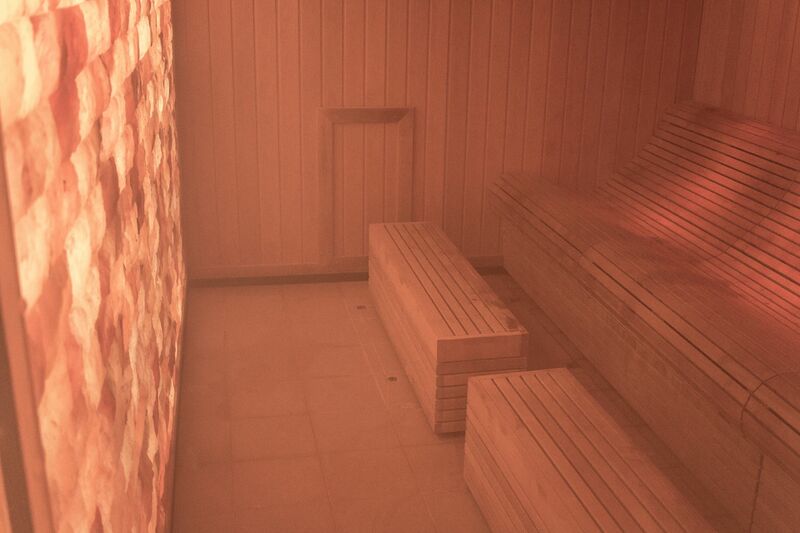 Seaham Hall's new Himalayan Salt Sauna offers all those benefits and more. 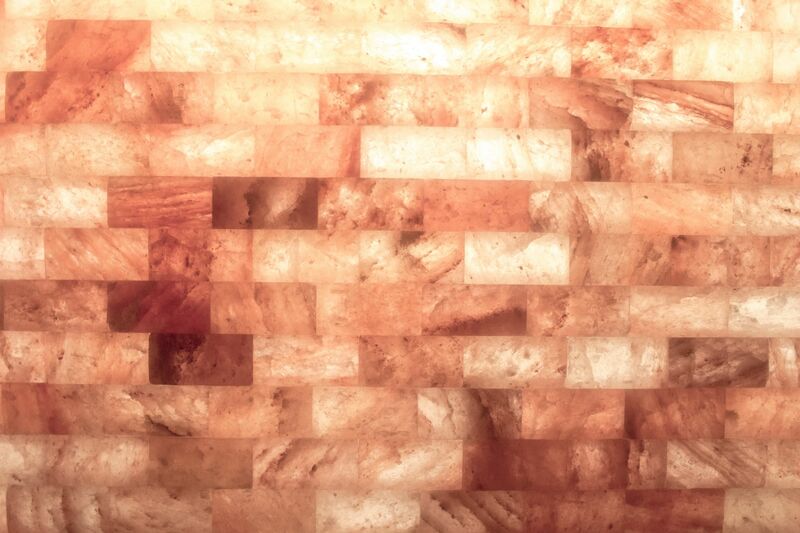 Enriched with minerals, the Himalayan salt air can help stimulate the respiratory system’s natural ability to reduce inflammation and fight infections. The many benefits also include improving the suffering of asthma, allergies, colds and flus. While the soft hazy light reflecting on the wall of salt offers a relaxing space to unwind. Perfect for when you're in a sleepy, post-massage mood. 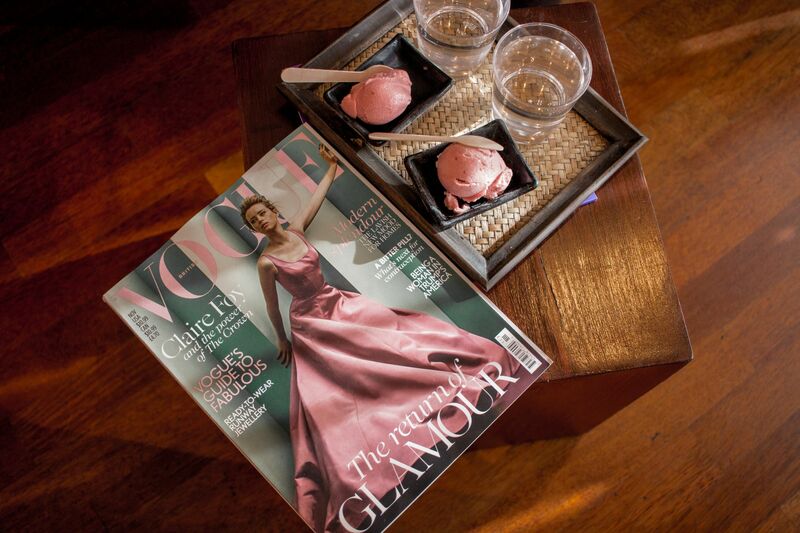 Or if you can't drag yourself all the way back to the spa after your treatment, there's always the heated beds of the relaxation room where you can flip through magazines or enjoy the view of the grounds while you indulge in a fresh fruit sorbet and plenty of water. Much like the spa itself, Seaham Hall's Ozone restaurant aims to offer ultimate relaxation and comfort. 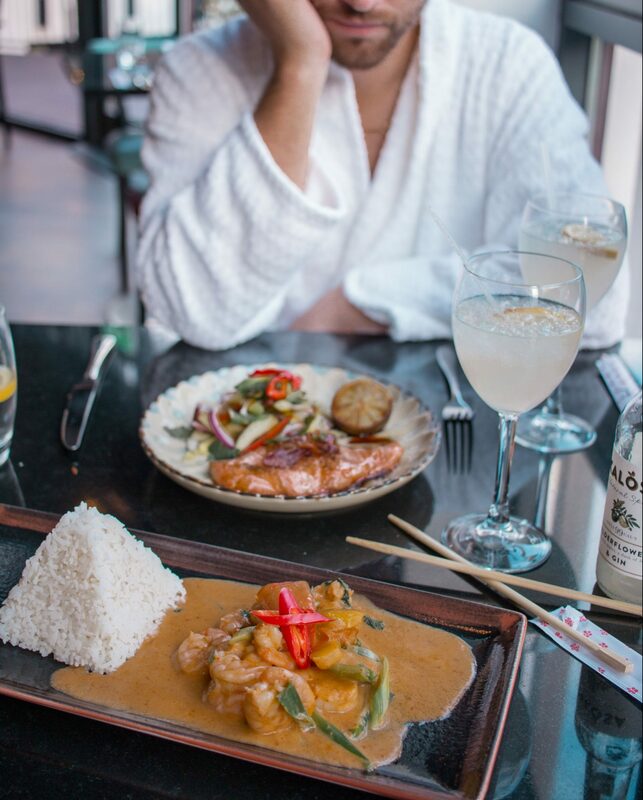 There's no dress code or rules, and guests are invited to enjoy their lunch in the comfort of the spa's fluffy white robes. Making it easy to plan your lunch before or during your spa day with the minimal amount of fuss! As for food, Seaham Hall's Ozone restaurant offers the perfect place for a healthy, but indulgent feeling lunch. Starters wise, there's plenty of dishes to choose from. 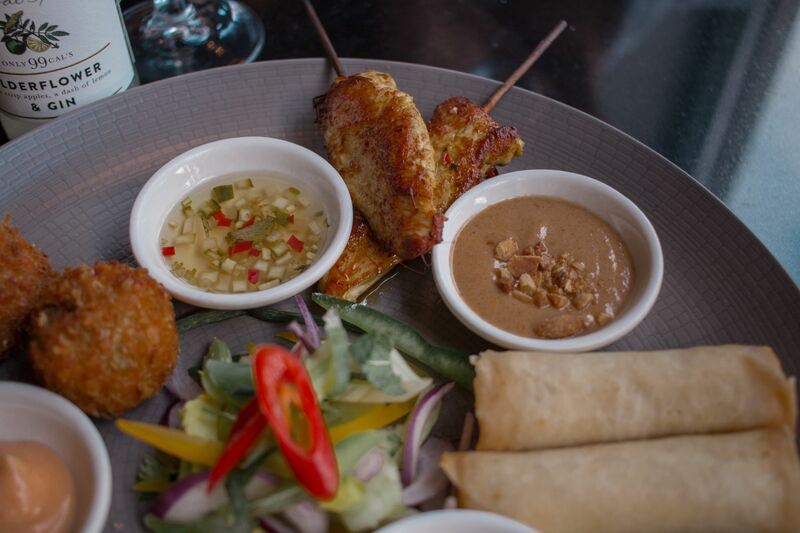 But the new sharing platters (available in vegetarian or non-vegetarian options) offer the perfect selection of everything from spring rolls to fishcakes and satay chicken, all served with a variety of dipping sauces. 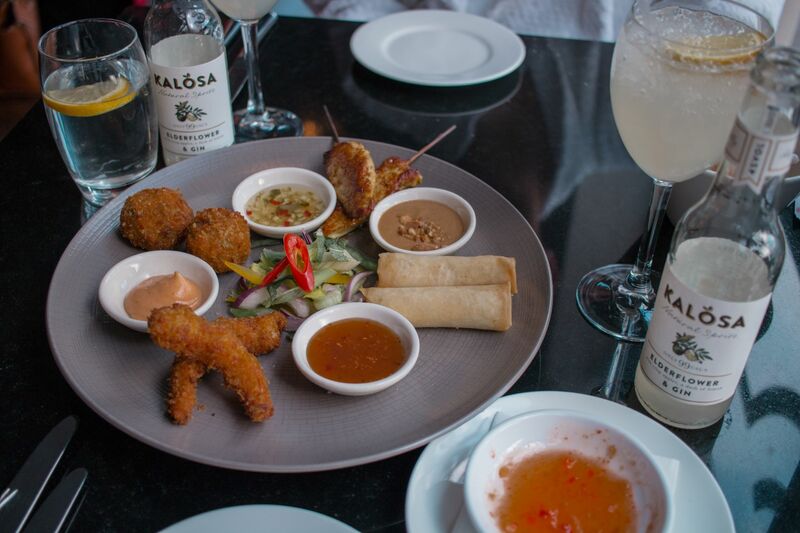 From traditional Thai curries with a variety of chicken, prawn and vegetable options, to sharing dishes and Asian tapas, there's something to suit anyone's tastes. 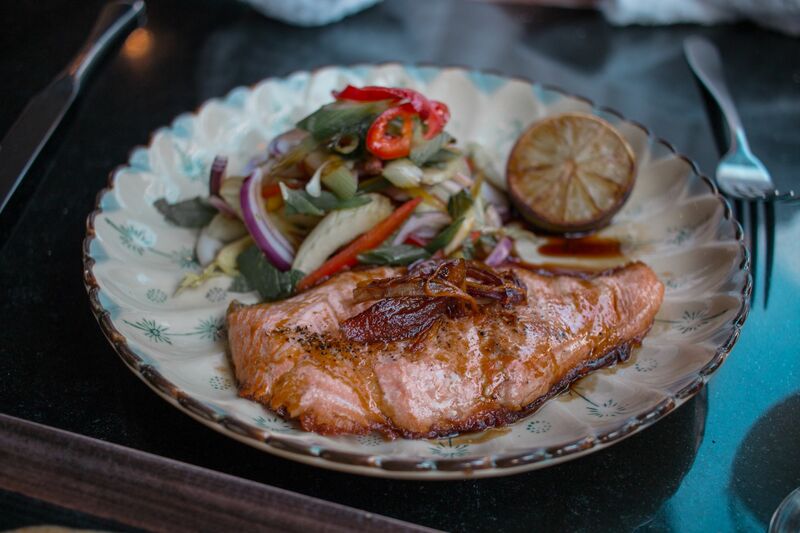 If you're looking for something a little lighter, try the Teriyaki salmon with Asian salad. 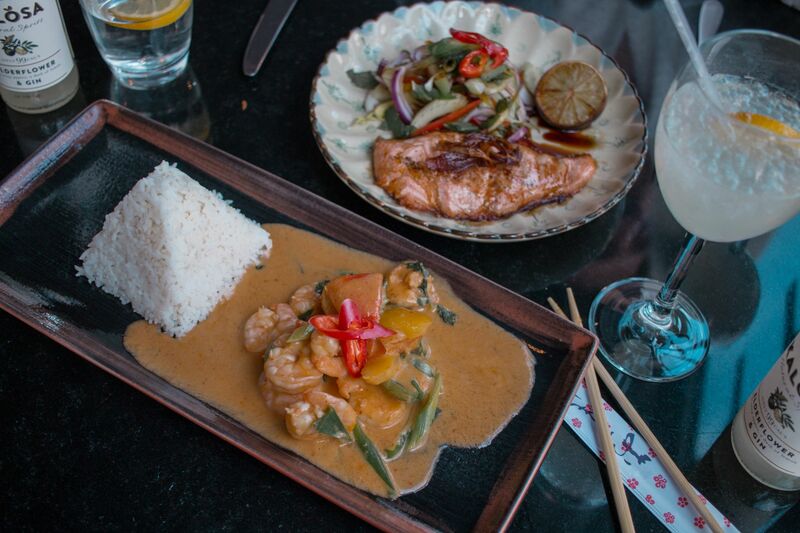 Just try resisting the small pyramid of perfectly fluffy white rice that comes with every curry dish, though! Although really, why would you? * For the purpose of this post, I was gifted the Couples Cosy Up Spa Day including use of the award-winning spa facilities, a delicious two course lunch in the Ozone Restaurant and an indulgent 75 minute Serenity Signature Body, Face and Scalp Ritual together in one of Seaham Hall's lavish double treatment rooms. This sounds lovely! 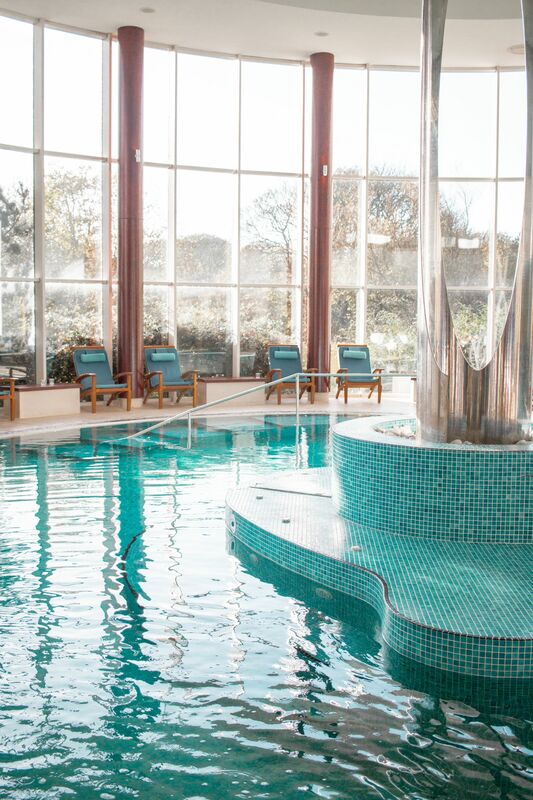 It’s been so long since we’ve had a spa day and I’ve certainly never been to Seaham Hall. Maybe that needs to be rectified soon!